Is Your Buy-Sell Agreement Properly Funded? Are you an owner in a privately held business? 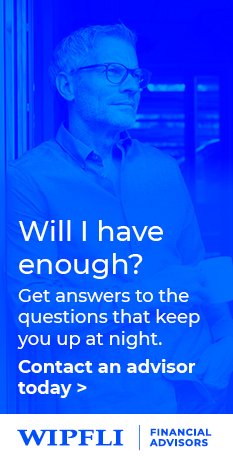 If so, you’ve likely spent years building a valuable financial interest in your company. Understandably, you may want to ensure that your family’s interest in the business will be protected, should something happen to you — and perhaps you also want to ensure the interest is purchased at a fair price, without negotiation or hassle. With some guidance from your advisory team, you (and your business partners) likely have considered — or have already implemented — what is commonly referred to as a “buy-sell” agreement (also known as a “business continuation plan,” “stock purchase agreement” or “buyout agreement”). A buy-sell agreement is a contract among owners that establishes under what conditions, to whom and at what price an owner (or an owner’s estate) can or must sell his or her interest in a business. Let’s back up: what are the benefits of having a buy-sell agreement in place? First, a buy-sell agreement allows the business and remaining owners to protect themselves from major disruption to the company in the event of the death or incapacitation of an owner. Second, the agreement ensures that the family of a deceased or incapacitated shareholder has a means for monetizing the interest in the business, without needing to seek buyers on the market or negotiate a sale. With these factors considered, setting up a buy-sell agreement is obviously an important step for business owners, but there’s also an additional — and equally important — next step to take: determining how to “fund” the agreement. Without a funding plan in place, those obligated under the agreement to buy a business interest might be forced to sell assets — or worse, file for bankruptcy. Life and disability insurance are very common components of the funding plans for buy-sell agreements, and for good reason: both provide tax-free assets at the very time they’re needed, and can be structured to ensure that those assets are used for their intended purpose. And compared to the most common alternative — borrowing and paying interest on debt to fund the equity purchase — premium payments can be very cost efficient. 1. Improperly structuring ownership and beneficiary arrangements: If they’re not set up correctly, life insurance death benefits could be taxable income to your beneficiary, which could mean hundreds of thousands — or even millions — in lost benefit. In addition, improperly structured arrangements could cost remaining owners the opportunity to fully increase their tax basis in the company, which could cost similar amounts if they subsequently sell the company. 2. Using the wrong form of life insurance: If the composition of the ownership group is likely to change substantially over the next 10 years, term life insurance is often the best and most efficient way to fund the plan in the event of an owner’s death. If the business is owned by family members, and is likely to remain in the hands of family members for decades, cash value insurance is often a more cost-efficient choice. 3. Overlooking important “triggering” events: Most owners understand the need for an agreement to cover the possibility of the sudden death, incapacitation or retirement of an owner. But there are other events that may trigger a sale or purchase, including the potential transfer of ownership in a divorce or judgement against an owner. Be as thorough as possible in preparing for triggering events to ensure your funding plan can cover a host of different possibilities. 4. Failing to review the agreement periodically: Businesses naturally change over time — the ownership group changes, the value of the business changes and the risks to the business change, as well. Each of those changes could impact a buy-sell agreement, so it’s critical for owners to review the document and funding plan every two to three years. Your family, your customers, your fellow owners…numerous people depend on the continued growth of your business. Reviewing and properly funding your buy-sell agreement can instill confidence and peace of mind in knowing that the right protections are in place to keep the company moving forward. Need help reviewing your business’s buy-sell agreement, or the funding plan you’ve put in place for it? Our Buy-Sell Agreement Review Program addresses the seven most important components of the plan, and gives you a punch list of issues to address. Contact our team to learn more about the program or set up a consultation. Brad Mueller, CLU, ChFC, is a Principal and the Chief Practice Officer of Wipfli Financial Advisors, based in Madison, WI. Brad specializes in insurance and risk-management consulting for business owners and family offices. 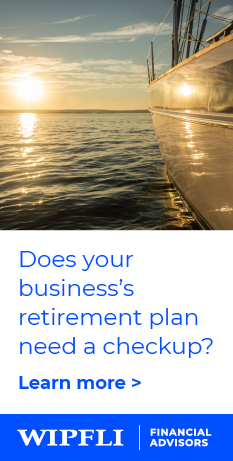 Business	Is Your Practice Ready for a Retirement Plan?